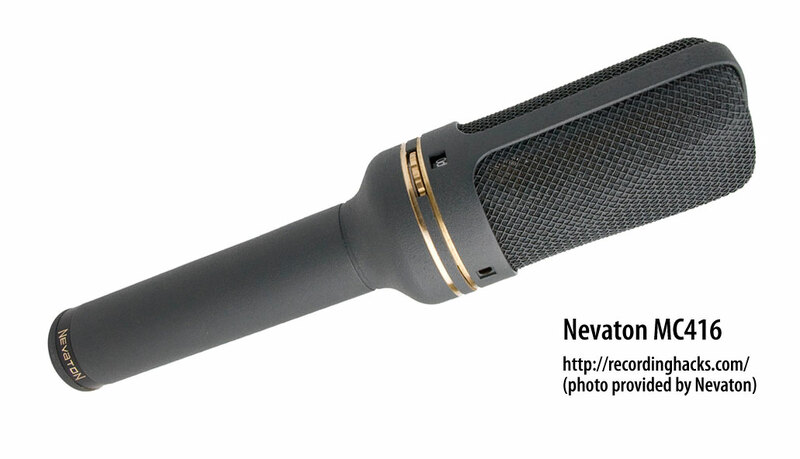 The MC416 is a multipattern FET condenser microphone. It has a 33mm dual-diaphragm capsule shockmounted within the headbasket. A pattern selection switch around the base of the headbasket allows selection of four polar patterns: Cardioid, Wide Cardioid, Omni, Figure-8. A second switch provides a -10dB pad. The amplifier circuit is a class-A, transformerless design. 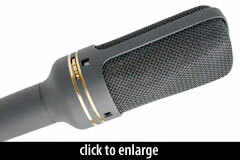 The microphone’s brass body is finished in a textured gray epoxy paint. The headbasket grille is a gray/black 3-layer metallic mesh. The mic ships in a padded hardwood box. 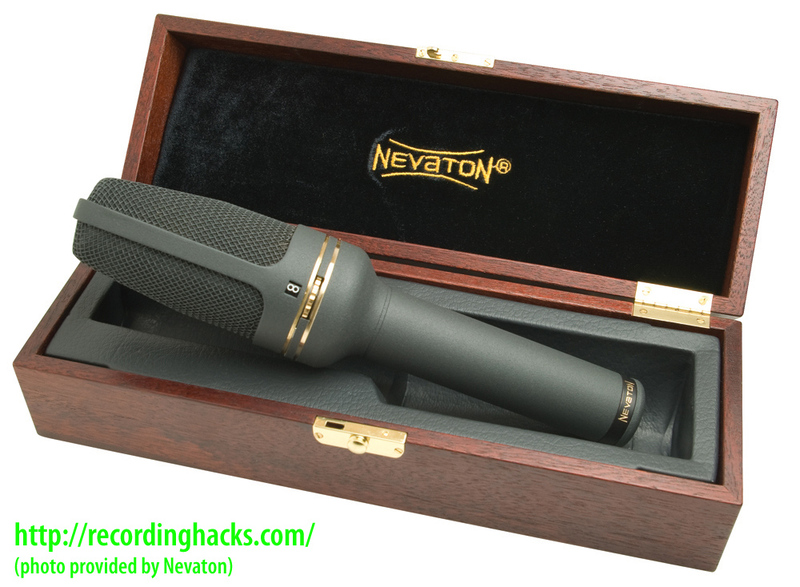 Included are a hardcopy frequency plot, an “isolation” mic clip, and an XLR cable. I soon got to work with the MC416 and found it capable of typical vocal and electric guitar tasks. I found the 416 to be similar to an Audio-Technica 4033 on loud, distorted guitar, with a nice overall balance and stronger low-mids. 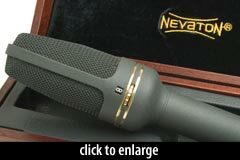 My first two vocal tests had me worried, as the 416 didn’t win a mic shootout with either a male or female vocalist. The 416 lacked a little midrange detail, but offered slightly thick, substantive, and compressed lower mids. I then tried the 416 on an unskilled male vocalist with excessive sibilance, uncontrolled dynamics, and a lack of power; he was greatly aided by the MC416, lending some substance and softening his fluctuations without robbing detail or realism. The Nevaton MC416 is also known as: MK416.